I’m a little confused. Are you looking for people who are good at forecasting or computer models that are good at forecasting? It seems like the former, but you mention things like APIs and GitHub. I don’t have an approach that I wish to enter in the GF Challenge. Is there another way that I can participate? IARPA is interested in any method that advances the science of forecasting. This may include investigating how a combination of computer models and human judgments can be used to make accurate forecasts, but it need not. If indeed a very good human forecaster (or a small group thereof), can do just as well as hybrid solutions or the ACE baseline, then we have learned something. However, we believe this is extremely unlikely due to the number of IFPs in the Challenge; and the fact that methods will be compared, for many of the prizes, against a benchmark crowd of human forecasters using the validated state-of-the-art method from the ACE program. The administration of the Challenge is automated and secured by use of an API for IFP and baseline data distribution and forecast submission, so some programming/data science skills are necessary. The GitHub repository is our way of sharing documentation, some data, and example API code with the Solver community. How do I submit the required team distribution form? All teams must complete a prize distribution form prior to their first submission in accordance with the challenge rules. Here is the link to the distribution form. Once completed and signed by all team members, you will need to email the completed form to: . Is there a downloadable version of the FAQs? Download all of the FAQs here. Will a copy of the Q&A slides be made available from the Feb 9 session? Here is the link to download the Q&A slides. Is this a government funded project? Yes, this is a government funded project. The Intelligence Advanced Research Projects Activity (IARPA) envisions and leads high-risk, high-payoff research that delivers innovative technology for future overwhelming intelligence advantage. I followed the Challenge on the HeroX GF Challenge page. Am I therefore automatically registered? If not, how do I register for the Challenge? In order to be fully registered for the Challenge, you will need to log into the HeroX GF Challenge page and “Accept the Challenge”. This includes accepting the Challenge rules and acknowledge that you adhere to the eligibility requirements for the Challenge, in addition to accepting the Intellectual Property (IP) Agreement. Once you have completed that step, you will be sent a link to the Cultivate Labs platform to register for your, or your team’s, API token. What is Hybrid Forecasting Competition (HFC)? 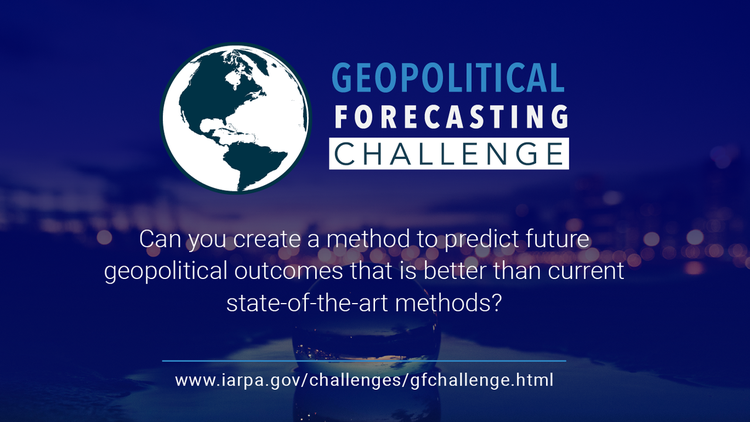 What is the difference between the Geopolitical Forecasting (GF) Challenge and the Hybrid Forecasting Competition (HFC)? The GF Challenge is looking for forecasting methods; solutions that are capable of processing data and making forecasts. While this may include investigating how a combination of both computer models and human judgments can be used to make accurate forecasts, it need not do so. And while your solution need not be fully algorithmic in nature, you will need to submit your forecasts throughout the Challenge through an API, and be able to describe the solution for your forecasts at the end of the Challenge, so some data science literacy is likely required. On the other hand, if you are instead more interested in making geopolitical forecasts using your intuition, you may find participating as a forecaster in HFC (www.hybridforecasting.com) to be more enjoyable. HFC is currently recruiting forecasters at the aforementioned URL. Please note that you cannot participate in both the GF Challenge and HFC. Participation in both the GF Challenge and HFC is clearly prohibited. Is there a reason for this that you can disclose? HFC teams are developing systems at a significant expense to IARPA. These teams are looking for honest experimental tests of their methodologies. IARPA is simultaneously looking for honest original solutions in the GF Challenge and we don’t want to see solutions that we are seeing in HFC. If we allowed dual-registration, there would be a possibility of Solvers accessing HFC performers’ intellectual property and using that in the Challenge. You will not be eligible for any prizes if you are registered for HFC. In order to remove yourself from participating in HFC, you need to send an email to stating your intentions and then register for the GF Challenge. By registering for the GF Challenge, you will be acknowledging that you are not concurrently participating in HFC; those who are awarded prizes will be asked to certify that they have not participated as a forecaster in HFC. Does IARPA foresee any contracting opportunity arising from this Challenge? This is a prize Challenge. This is not a traditional IARPA program. The Solvers are the ones doing the development. You are competing for prize money, not for contracting opportunities. I have some other great ideas that I think IARPA would be interested in. Who do I talk with about them? I already have a product or tool that can address this Challenge. Can I sell it to IARPA? How many forecasting questions/IFPs will be asked? We anticipate asking between 125 to 175 IFPs over the course of the Challenge. All IFPs will be designed to resolve by the end of the competition. Do I need to provide forecasts for every question? You do not need to forecast against every IFP, but in order to be prize eligible, you will need to meet certain minimum targets. You can read more about the minimum participation requirements for each prize category in the prize section within the Challenge Rules Document, as well as finding information on how your responses, or non-responses, may impact your score in the Scoring section of the Challenge Rules Document. Is it necessary that Solvers answer all the IFPs being asked? How many IFPs do we have to submit a forecast for and can we only respond to Challenge questions in our domain of expertise? Each prize category will have some minimum participation percentage requirements of IFPs. For the Overall Performance Prizes, it is 70% participation of all IFPs, for the milestone prizes it is 80% of the IFPs within that milestone period. Of the IFPs launched within that period of time, you must meet the minimum participation percentage associated with that prize category. When it comes to which IFPs you provide forecasts for, that is up to you. If you are thinking of using just human judgments, we discourage you from doing that. In order to submit forecasts, you must have the ability to interact with the API. If you would like to use your judgments or purely human judgments, then we recommend that you register for participation as a forecaster in IARPA’s HFC program at http://www.hybridforecasting.com. Will forecasts be required on weekends as well? Yes, every day is a scored day. The Challenge Rules Document describes what forecast days are. Does time of response matter? Each day, there is a reporting deadline: 14:00:59 U.S Eastern Time. You will be scored by what you have as a forecast in the system at that time. We will impute or assume your forecast is the control group forecast. Once you initially submit, it will take the place of the control group forecast. What is the standard time period in which an IFP will be open? There will be some variation between IFPs. We might ask a question on the possible outbreak of some conflict that will only be a day long. There may be some other questions where the maximum possible duration could be up to six months. The time period that a forecast will be open is a wide variation of time dependent upon the type of IFP. How will I know how well I am doing throughout the competition? Your score will be tracked on a leaderboard on the Cultivate Labs Platform. You can log into your account or Team account on the platform to see how well you are doing in the overall Challenge, or on the individual prizes/ milestones throughout the Challenge. How will I collect my prizes? Once it has been determined that you have won a prize, you will be contacted via email with instructions on where to send your tax and payment information in order to receive your funds. As a reminder, all taxes that may be incurred based on the award of prize money is the sole responsibility of the Solver. 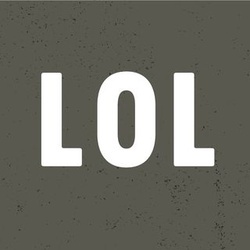 What happens if I join late? You can still participate in the Challenge! As long as you meet the minimum participation requirements for the prizes, you will still eligible to win at least some of the prizes. Note that some of the prizes have lower IFP participation requirements, and others are based on success across discrete periods of time. All is not lost if you join later in the Challenge! Will we be able to use our forecasting model in academic publications, or does it become proprietary to this Challenge only? You will retain rights to whatever methods you use to generate your forecasts. IARPA is supportive of further scientific research per the Office of Science and Technology Policy (OSTP) memorandum of 2013 and we would ask that you send us a courtesy copy of the publication if you cite the Challenge or IARPA within it, but you retain your IP rights, including the solutions you developed or used to make your forecasts. If the government decides to use any part of the submitted methods, will they pay royalties to the developers? The Government does not own the methods that you develop for this Challenge. We retain a copy of the forecasts that you provide and a description of your method but do not own the IP. You should have no expectation that the Government will use or others will use your methods. It is possible if you create something potentially valuable, that you may be approached from people who are interested in teaming with you on various types of efforts. Are international Solvers allowed to participate? Is this Challenge open to non-U.S. citizens? Yes, with a small number of exceptions, international Solvers are allowed to participate in this Challenge. Within the Challenge Rules Document, there is a section outlining the guidelines as to which countries are allowed to participate, and additional guidance. If you still need clarification on your eligibility to participate, please send an email to: . Can I participate in both the GF Challenge and as a forecaster in HFC? No, you will need to select one of the events to participate in. IARPA’s HFC Performer team members and HFC Good Judgment Forecasters, as well as members of such persons’ immediate families (spouses, children, siblings, parents), and persons living in the same household as such persons, whether or not related, are not eligible to participate in the competition. Can FFRDCs or UARCs participate in the Challenge? Yes, with a few stipulations. First, they must forego the prize money for the Challenge. Second, the entity, along with anyone working on the Challenge, must meet the other eligibility requirements in the Challenge Rules Document. Third, they may not have supported IARPA’s HFC Program in any manner. Please see the Challenge Rules Document for complete information on how to proceed. How do I form/join a team? Once the Challenge launches on HeroX, you will have an opportunity to register as a team and invite members to join the competition and join your team. However, if you decide to create a team after you have already registered, you have the ability to create a team within the community tab of the HeroX GF Challenge page. All team members must meet the general eligibility requirements, register and acknowledge the Challenge rules through the HeroX GF Challenge page. Upon registering for the Challenge, the team captain will need to provide a breakdown of all team members along with the agreed upon prize percentage allocation between all team members. Each team will need to determine who will be setting up their team’s API token, as there can only be one API token granted per Solver/Team. You are only permitted to participate in the Challenge as an individual or as part of one team (membership on multiple teams is not allowed). No, participants can only join a single team in the Challenge and can either be on a team or be a lone Solver, but not both. Can I switch from being a lone Solver to joining a team midway? Can I switch teams? No, once you have registered for a team and your team has begun making forecasts, you cannot switch teams, or join a new team. Similarly, if you are a lone Solver and have begun making forecasts, you can no longer join a team. Can individuals form teams after the first IFP is issued? What would be a good way to seek out other team members? We suggest that you post to the HeroX forum in order to seek out other team members. Are you at a disadvantage if you participate in this Challenge as an individual as opposed to a team? Teaming presents an opportunity to divide and conquer the labor. However, many individuals prefer to wotk independently. It is up to your personal preference and working style. Where did these forecasting questions, or IFPs, come from? What if there’s ambiguity over the outcome? These IFPs are developed by an experienced team working for IARPA who developed similar questions for the earlier IARPA Aggregative Contingent Estimation (ACE) program, which spawned Phil Tetlock’s book Superforecasting. Each IFP includes an authoritative source and/or procedure for determining the outcome. In our experience, we have found these IFPs to be well posed and to have unambiguous outcomes. Can I nominate questions / IFPs for the Challenge? The IFPs have already been segmented into domains and regions by the IARPA team. The IFPs affect both the GF Challenge and HFC so there is not an opportunity for requests/nominations from Solvers. Challenge Solvers will have access to a stream of de-identified individual-level human forecast data. From this, an aggregate will be constructed using a method based on the state-of-the art from IARPA’s ACE program—Solvers will also be given access to this aggregate. The aggregate measure will serve as the baseline against which NBPs will be calculated. This baseline (and the associated de-identified individual forecast data) will be available to Solvers via the Cultivate Labs API. How do I know that my submission won’t be intercepted or hacked by another competitor? Each Solver is given an authentication code in the form of an API token upon registration. Forecast submissions are authenticated with this code and are not visible to others. If you keep your API token secure, you should have nothing to worry about. Do I need to submit my forecasts through the API, or can I go into a Web interface and submit my forecasts? All submissions must be made through the API provided by the Cultivate Labs Platform. Those wishing to make smaller numbers of forecasts using human judgment are encouraged to register for participation as a forecaster in IARPA’s HFC program at http://www.hybridforecasting.com. Where do we get an API token for the Challenge? Once you accept the Challenge Rules and IP Agreement for the Challenge on the HeroX GF Challenge page, you will be sent a link to register for your API token and access to the Cultivate Labs Platform. Please note that only one API account will be allowed for each lone Solver or team of Solvers. Can each member of my team sign up for an API token? No. Each team is only allowed to register for a single API account for the Challenge. What happens if we lose or forget our API token? Log into your API account on the Cultivate Labs Platform and from the Home Page click the “View API Token Management” button to retrieve or re-generate an API token. How do I find information on how to use the API? The complete API documentation will be available on the Cultivate Labs Platform upon registering for the Challenge on HeroX. Will we be able to request specific information or will we all be working with the same data set without being able to request further specific data? The Challenge will only provide all solvers with a single data set, which is the human forecaster data. We are not providing any additional data beyond that, as we believe this data is state-of-the-art for these types of questions. We understand that not all Solvers may want to use this data. Solvers are able to use additional or alternative data sources that they deem useful to their solutions. Will we receive ground truth about the human forecasts (how well they did in the past)? The data from the ACE program is available for download in DataVerse. The ACE data - the benchmark method as well as the data that we are providing you is based on systems from IARPA’s ACE program - there will be a leader board in the Cultivate Labs site where this Challenge is being hosted. Will our method be part of our final score? The final score will be based solely on the accuracy of your forecasts — you will have to turn over a document that describes your method. While the Government will gain rights to the forecasts, you will retain the rights to your IP. Your score is based on the quality of your forecasts. In terms of methodology disclosure/algorithm writeup, can you give us an idea of the length and level of detail of the paper we’ll be required to write? We will make the exact requirements clear, but the expectation is that the document that describes your solution will be no more than four pages long. We may request more information to gain a better understanding of your method or to provide clarity. Any parts of your solution that are proprietary need to be clearly marked as such. In the event that you are a prize winner, we need to be able to describe your methodology in greater detail to a public audience so that the public can have confidence that the prize funds were awarded properly. How will our performance in the Challenge be shared at the end? The results of this Challenge will be publicized through public communication channels and updated on the microsite. When is the challenge expected to launch? The challenge is expected to officially launch in February 21, 2018. Please follow this challenge to get updates for when the challenge launches and more information will become available. Where will I submit my solution? Once the challenge has officially launched, you will be directed to the challenge platform where you can download the API key. Are there descriptions about the prizes listed in the Additional Incentives? What are the evidentiary standards for question resolution? For questions involving topics and events that are widely reported in the media, we consult credible open source media sources (e.g., Reuters, BBC, AP) to determine the outcome of a question. Some questions may specify that the resolution will be determined by specific sources (e.g., UNHCR data, Moody's). When in doubt, please check the information provided in the “More Info” section of each question for guidance specific to that question.